Former ECW wrestler Rockin’ Rebel allegedly shot and killed his wife this week, then died from a self-inflicted gunshot wound … this according to police officials. The West Goshen Township Police Department says the bodies were discovered around 6:30 a.m. at their home in West Chester, Pennsylvania. The decedents were a married couple in their fifties named Charles and Stephanie Williams. The Williams family resided at 302 North Five Points Road. Both appear to have died as a result of gunshot wounds that occurred sometime in the overnight hours. Initial indications support that Stephanie Williams was shot by her husband. Charles Williams then fatally shot himself. 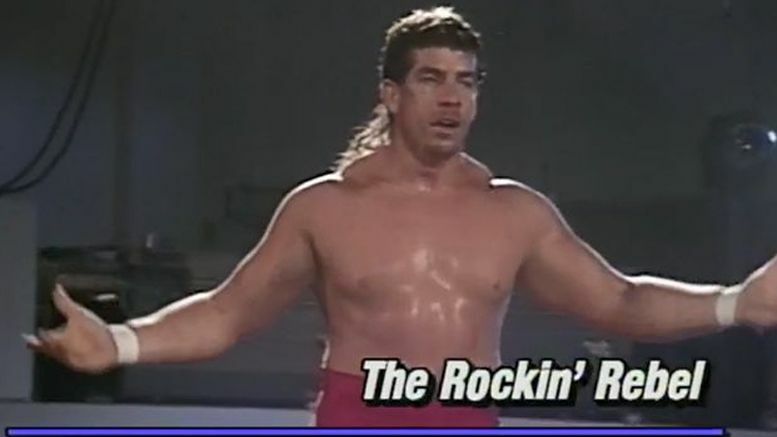 Rockin’ Rebel is probably best known as a competitor in ECW as it transitioned from Eastern Championship Wrestling to Extreme Championship Wrestling. He had stints in CZW, WCW, Japan, Korea and Puerto Rico. Rebel broke into the business in 1988 and was trained by the legendary Rock ‘n’ Roll Express. Neighbors told Philadelphia’s ABC affiliate that law enforcement was often at the home. “There were always problems over there,” the neighbor told 6 ABC. The investigation is ongoing in conjunction with the Chester County Coroner’s Office.